Born in Egypt in 1968, Wagih graduated from a theological seminary in 1991 and completed a degree in sociology in 1996 in Alexandria, Egypt. He is now married with four children. Wagih was ordained as a Presbyterian minister in 1993 and moved to work with the Baptist in London in 1994. Since then he has planted two Arabic churches in London and Brighton, as well as opening Agape Arabic Christian Centre in London in 2000. Wagih is passionate about showing love to everyone, including those in need or people who feel unloved or unworthy, in order to show care to as many people as he can. His main vision is to reach out and alleviate the suffering of people in different contexts, using using all tools possible and pioneering new techniques. 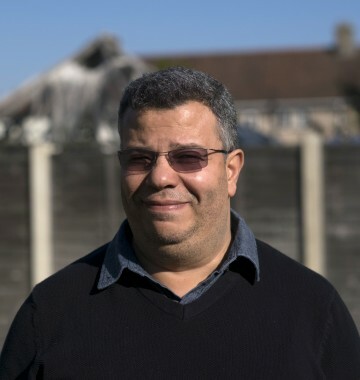 Wagih was first introduced to Lifeline when he attended a Lifeline Network conference as an interpreter, translating for an Egyptian man who didn’t speak English. By the end of the conference he felt a real connection to Lifeline and captured part of the vision for the future of LNI. Since then he has been an active partner and is involved in projects with Egypt and Iraq. In the UK, the London Arabic Evangelical Church is running projects with Lifeline in West London such as the Creative English Program involving Faith Action. He also connected John Hanna, who is now our partner based in Egypt, to Lifeline and is involved in following him up with the project based there. In Iraq, Wagih is launching a new brand for Lifeline and is involved in projects there such as building bakeries for displaced families.